Please see our group departure calendar for Peru and Bolivia Tour group departures. 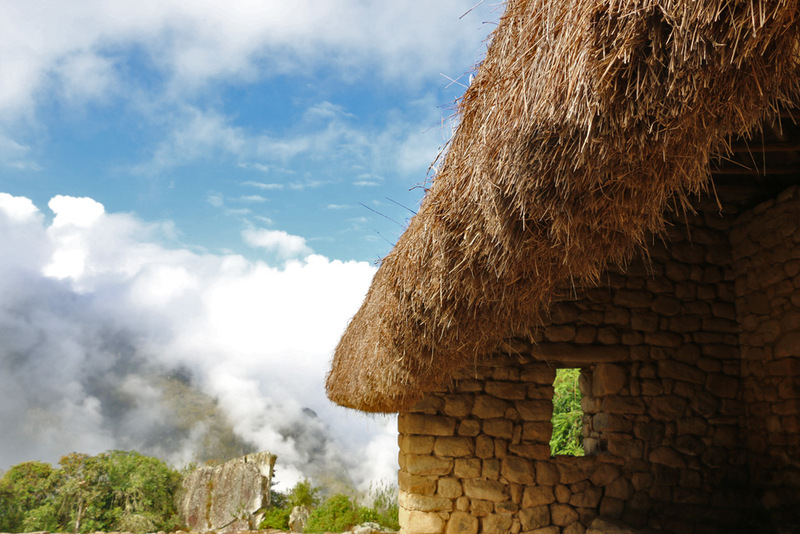 Extensions: Our Peru and Bolivia Tour combines well with many amazing extensions. This includes the Nazca Lines, Inca Trail and Rainbow Mountain hike within Peru. Extensions to San Pedro de Atacama, Buenos Aires and Iguazu Falls are excellent additions after the Uyuni Salt Flats. Explore fascinating Cusco, where indigenous, Spanish and contemporary influences co-mingle to create cultural, architectural and culinary atmospheres found nowhere else in the world. Visit majestic and mysterious Machu Picchu, surrounded in mist and perched high above the dramatic Urubamba river valley. Travel across the Peruvian and Bolivian altiplano, visiting pre-Hispanic ruins, tiny villages, and magnificent Lake Titicaca. 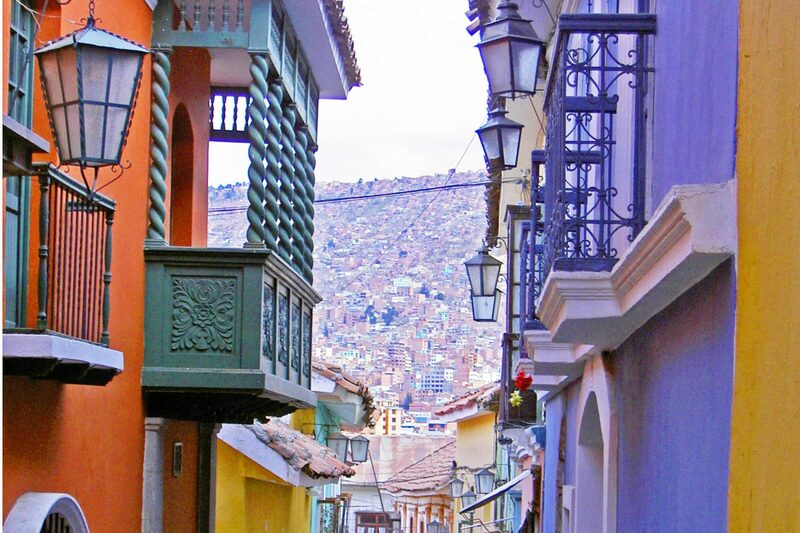 Discover bustling La Paz, Bolivia before continuing to the otherworldly Uyuni Salt Flats. Traverse the largest salt flats in the world, visiting brilliantly colored lakes, geysers, stone formations, and more. Our adventurous Peru and Bolivia Tour features what many consider the highlights of each country. This includes charming Cusco and enigmatic Machu Picchu, the beautiful Sacred Valley, serene Lake Titicaca, and the astounding Salar de Uyuni (Uyuni Salt Flats). As with all our carefully-designed tours, Ayni brings inspiring local touches to the most famous spots by prioritizing people and culture, working with local communities, and featuring innovative activities. Our itinerary can be completely personalized to match your interests, schedule, and travel preferences. Please contact us for custom itineraries, quotes and questions. We look forward to hearing from you! Arrive in exciting, cosmopolitan Lima. Spend the afternoon and evening getting to know this ancient and diverse city with an introduction to Peru`s incredible coastal cuisine and historical highlights. Fly to historic Cusco, former center of the Inca Empire. 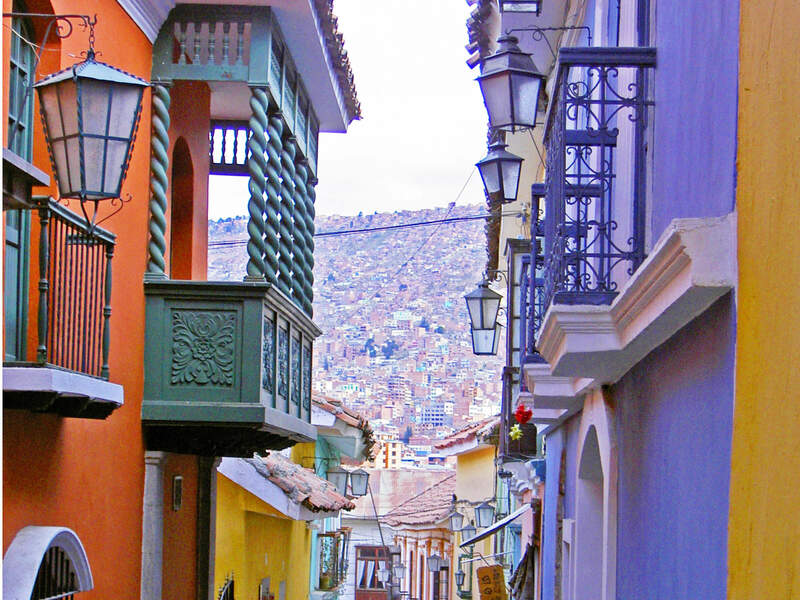 Spend the afternoon wandering cobblestone streets, local markets, and learning about Cusco’s incredible history. Traverse the beautiful Sacred Valley, stopping at interesting Inca ruins, an artisan market and cascading salt ponds. Enjoy a traditional lunch with a local family, and gain insight into local culture. 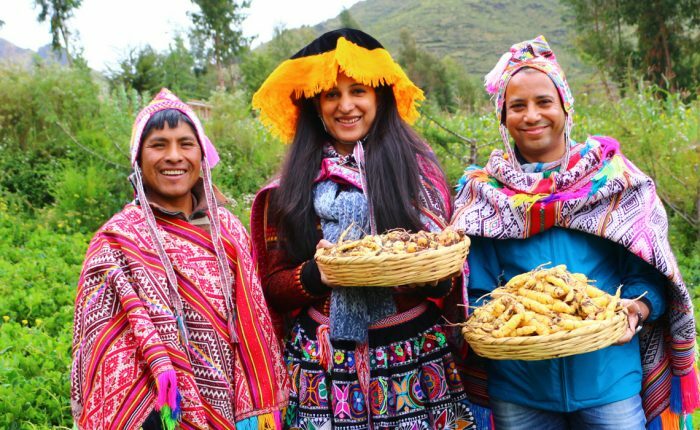 In the afternoon, visit an exceptional community-based tourism project and learn about traditional farming of crops such as quinua, potatoes, and medicinal plants. Explore Machu Picchu! We’ll visit famous highlights, plus lesser-known (but equally) fabulous spots. After an in-depth tour of the ruins, climb Huayna Picchu,hike to Inti Punku, or visit the Inca Bridge. Travel by boat over stunningly blue Lake Titicaca to experience indigenous culture in secluded areas of the lakes famed islands. Today includes stops at a remote area of the Uros reed islands, UNESCO World Heritage site Taquile, and the Capachica peninsula. Cross into beautiful Bolivia and tour Copacabana. You’ll hike across Isla del Sol (Sun Island) with your private guide, then continue to fascinating La Paz. 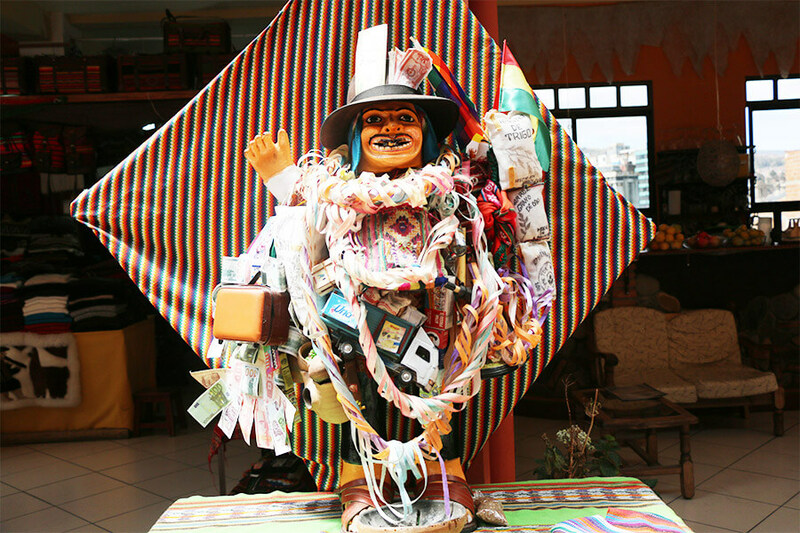 Get to know Bolivia’s one-of-a-kind capital on a walking adventure that includes descending dynamic El Alto, handicraft shopping in La Paz’s intricate marketplaces, and taking in beautiful murals in the city center. Jet off to awe-inspiring Uyuni. Travel across the shimmering white salt flats to cactus-covered Incahuasi Island. Spend the day exploring Eduardo Avaroa Reserve, home to endless blue skies, brilliantly-colored lakes, volcanoes, lunar landscapes, roaming vicuñas, flamingoes and more. Begin the day bathing in gorgeous thermal pools. We’ll bid farewell to Uyuni and head back to La Paz. Morning flight home, or on to your next destination! International flights. Ayni is able to include airfare at additional cost; please contact us for a quote! South America is full of culture, beauty, and excitement, and no countries exemplify these characteristics quite like Peru and Bolivia. For this reason, our Peru and Bolivia Tour features famous highlights of each country, along with off the beaten path gems. Begin with Peru, visiting charming Cusco, the endlessly beautiful Sacred Valley, and the great Wonder of the Moden World, Machu Picchu. Next, continue to serene Lake Titicaca before crossing the Bolivian border to explore the incredible Uyuni Salt Flats. Along the way, Ayni Peru brings unique local touches to famous spots, prioritizing people and culture, and working with local communities to deliver innovative activities. 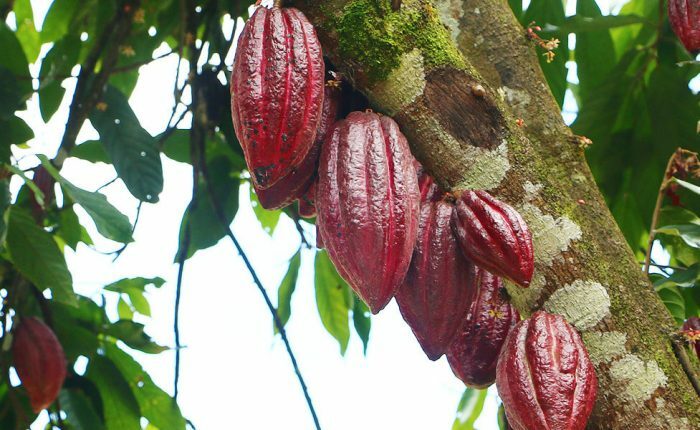 On this unique and memorable tour, Ayni Peru will take you on a true South American adventure! Your journey will begin in Lima, the bustling capital city, recognized worldwide for its innovative and delicious cuisine. Peru has been awarded the title of Best Culinary Destination by the World Travel Awards for five consecutive years! Because of this, we include the opportunity to learn about and sample the iconic dishes that have earned Peru this title. From Lima, we continue to historic Cusco, the former center of the vast and powerful Inca Empire. Everywhere you go in Cusco, you will see (and hear!) the remnants of the Incas. This not only includes fine stone constructions and fascinating archaeological sites, but also locals chatting in Quechua, the Inca language still spoken by many Peruvians today. While in Cusco, you´ll wander narrow, cobblestone streets, tour nearby ruins, explore local markets, and learn about the region´s incredible history. 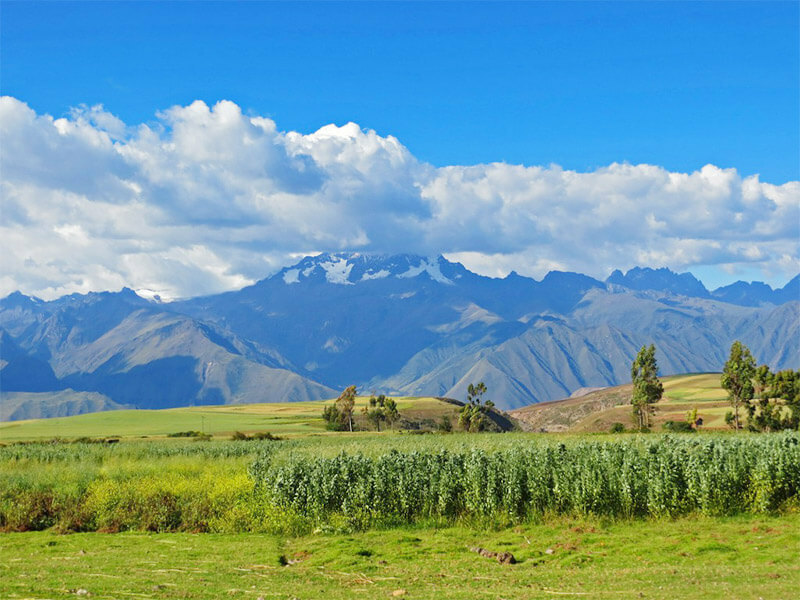 Next, depart with your guide for the breathtakingly beautiful Sacred Valley. 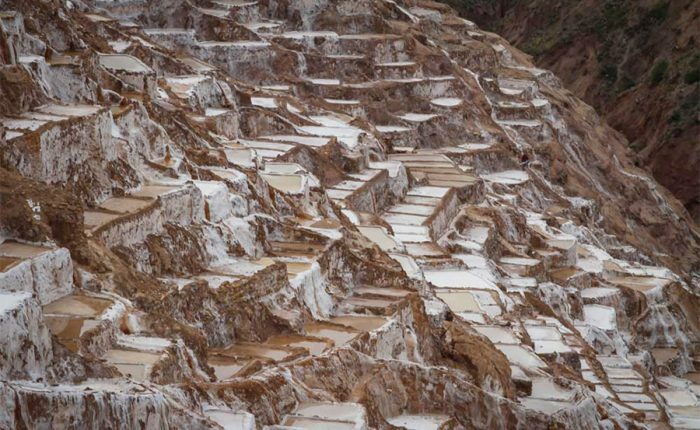 Our activities in the Sacred Valley include visits to traditional towns, admiring the stunning Maras salt mines, and exploring the incredible Inca fortress above Ollantaytambo. 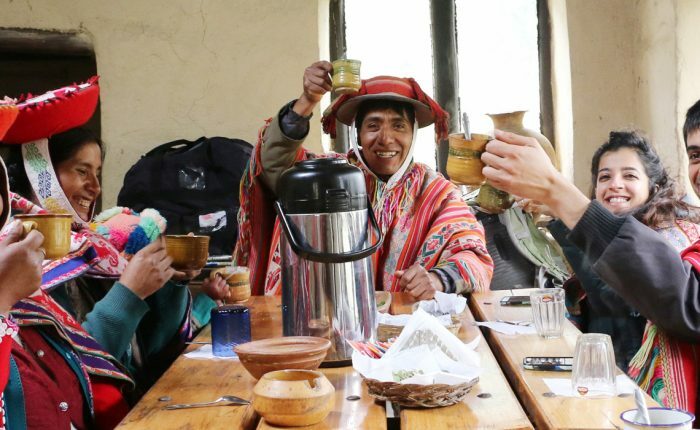 In keeping with Ayni´s commitment to genuine interaction with locals, we´ll break to share a delicious traditional lunch with a Sacred Valley family. 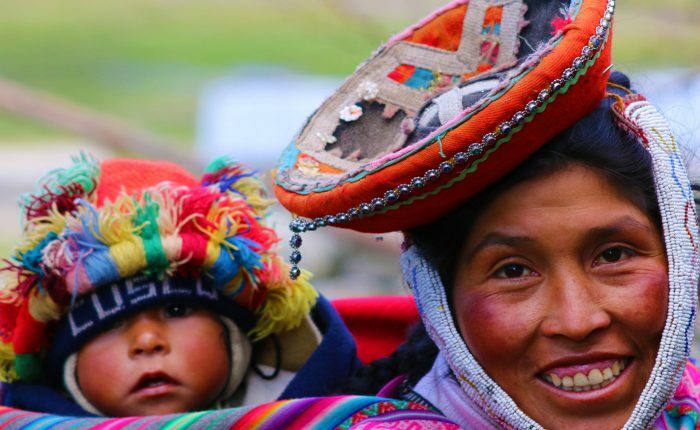 We encourage you to take a break, chat with your hosts, and experience daily life in the Peruvian Andes. From there, our next stop will be the long-awaited trip to Machu Picchu. After an incredibly scenic train ride and overnight below the ruins, Begin the day early at Machu Picchu. As you ascend the stone steps, you will catch your first glimpse of “The City in the Sky” as the early morning fog lifts and the clouds part, revealing the majestic ruins below. Your private guide will lead you around the Temple of the Three Windows, the Main Temple, the Intihuatana stone, and much more, learning about their significance all along the way. 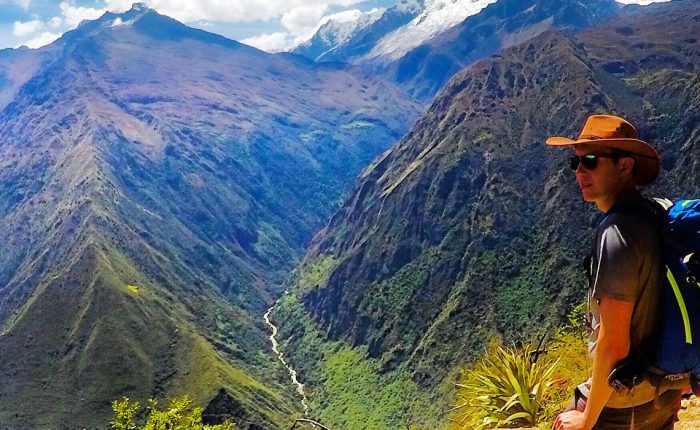 For an extra adventure, you can climb either Huayna Picchu Mountain or Machu Picchu Mountain for incredible views of the ruins, surrounding mountains, and the Urubamba River rushing below from high above the clouds (additional entry required & based on availability). Continue to beautiful and serene Lake Titicaca, to experience the local indigenous culture on secluded areas of the lake’s famous islands. Here, you will leave the well-trod tourist path to visit a remote area of the Uros islands, the UNESCO World Heritage site Taquile, and the Capachica peninsula. 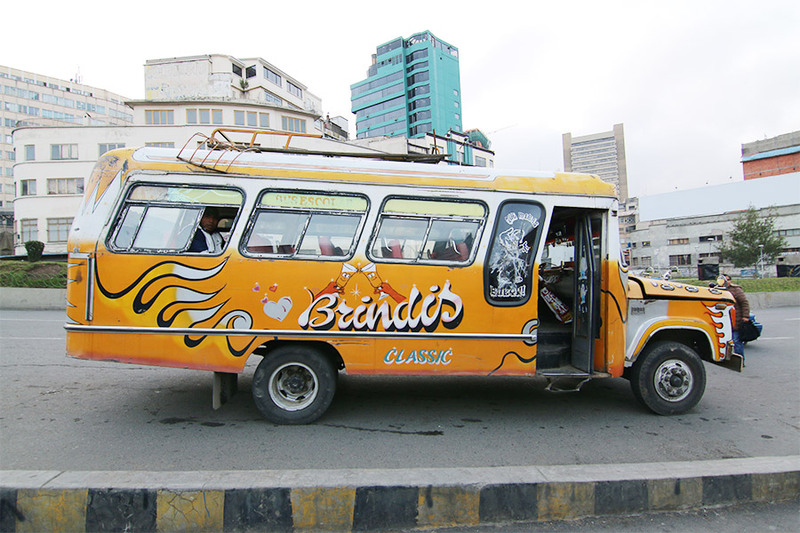 After relaxing at the lake, you will cross the border into Bolivia as you travel to La Paz, where you will experience the city’s rich artistic culture, visiting the many murals and urban art pieces spread throughout the city. You will see a meeting of the old and new worlds, as you observe the deep-rooted culture and tradition, as well as the city’s modern features, like the cable car system. 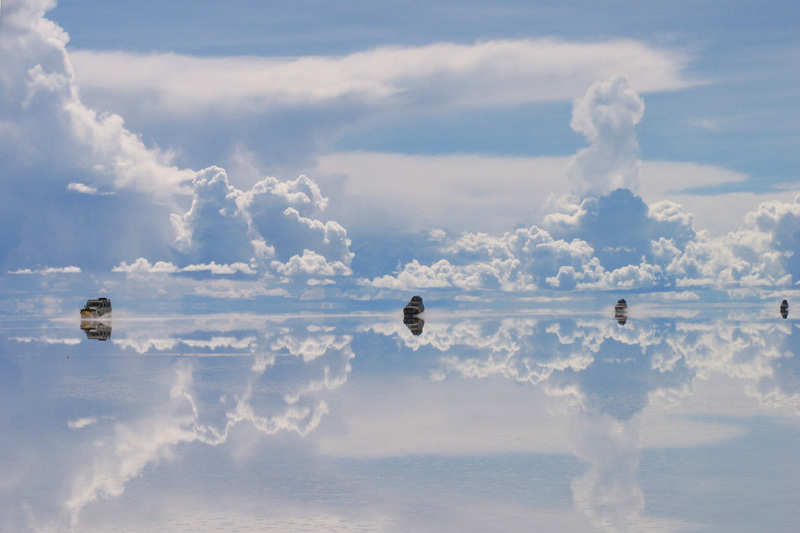 On the final leg of your journey, you will jet off to the breathtaking Uyuni salt flats. Covering 12,000 square kilometers (4,633 square miles) of the Bolivian altiplano, the salt flats are an inspiring natural phenomenon. 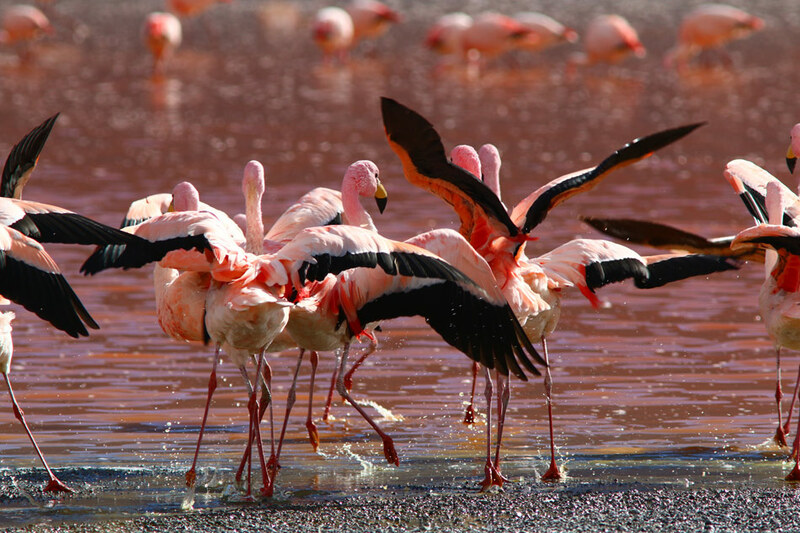 You will spend three days exploring the surreal landscape, visiting colorful lagoons, salt water springs, a series of bizarre stone formations sculpted by the wind, and the Eduardo Avaroa Reserve, home to vicunas, flamingoes, and more. From here, your Peru and Bolivia adventure will come to an end. Say goodbye to Bolivia and catch your international flight home, or continue to your next destination!